The first comprehensive critical examination of one of America's most celebrated living artists. 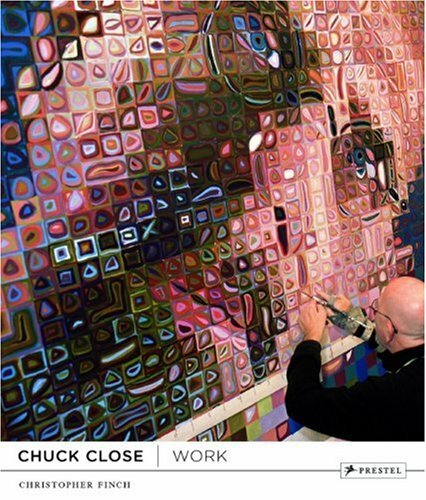 Chuck Close reinvented portraiture almost four decades ago with a series of nine-foot-tall, black-and-white likenesses of himself and fellow artists, which astonished an art world dominated by minimalism and conceptualism. Close has since explored the possibilities implicit in his original breakthrough in an array of mediums. This lavish, large-format volume is the first to deal with all aspects of Close's career and to place them in a biographical context. Christopher Finch's insight into Close's achievement comes by way of hundreds of studio visits and thousands of hours of conversation since he met Close in 1968. Finch provides an engaging, in-depth analysis of Close's portraits on canvas, from the continuous-tone airbrushed heads of the 1960s and '70s to the painterly 'prismatic grids' of the past two decades. The more than 300 illustrations featured in the book include almost all of Close's paintings, a selection of his prints and multiples, and examples of his photographic oeuvre. Many unpublished photos from the artist's personal archive enrich the reader's understanding of his inspiring life and the fascinating processes he has invented to create his art. This beautifully designed volume reveals not only the variety of pictorial strategies Close has devised, but the extraordinary personality of the artist behind the work.